David Sedaris has 1 media appearance. Oblong Books will be selling David Sedaris books in the lobby before, during, and after the event. David Sedaris will be signing books at this event. Friday, November 22, 8 pm: Northshire Bookstore is proud to partner with Paramount Theatre as they present David Sedaris live on stage. With sardonic wit and incisive social critiques, David Sedaris has become one of America’s pre-eminent humor writers. The skill with which he slices through cultural euphemisms and political correctness proves that Sedaris is a master of satire and one of the most observant writers addressing the human condition today. David Sedaris will be signing copies Let’s Explore Diabetes with Owls and other titles after the show. Books will be available for purchase at the event. Let’s Explore Diabetes with Owls, reviewed by bookseller Amy Palmer: Whether going to his "happy place" during a colonoscopy, contemplating a severed forearm at his neighborhood taxidermist's, sharing drugs with a stranger in the men's room of the bar car, or obsessively collecting rubbish along the roadsides of rural England, Sedaris continues to delight with his witty commentary on life's absurdities. Who of us hasn't waited for that coveted latte, chafing with suppressed rage and indignation as the preceding customer drones on and on and ON? Let's explore diabetes with owls by David Sedaris Thursday, November 21st, 7:30pm at Merrill Auditorium David Sedaris returns to Portland for an evening of cutting wit and social satire, sharing his latest book Let’s Explore Diabetes with Owls. One of America’s pre-eminent humor writers, Sedaris has been hailed by the Washington Post as “one of America’s most prickly, and most delicious, comic talents.” From the unique perspective of David Sedaris comes a new book of essays taking his readers on a bizarre and stimulating world tour. From the perils of French dentistry to the eating habits of the Australian kookaburra, from the squat-style toilets of Beijing to the particular wilderness of a North Carolina Costco, we learn about the absurdity and delight of a curious traveler's experiences. Whether railing against the habits of litterers in the English countryside or marveling over a disembodied human arm in a taxidermist's shop, Sedaris takes us on side-splitting adventures that are not to be forgotten. "Sedaris is a remarkably skilled storyteller and savvy essayist. He weaves together vivid images and sensations into a coherent whole that packs a serious emotional punch....Yes, David Sedaris is really that good. And, based on this latest collection, he's getting only better." -Heather Havrilesky, Los Angeles Times Join Longfellow Books and Portland Ovations for the funniest night of the year! Click here to buy your tickets before they're all gone! David Sedaris will bring his hilarious tour to Madison once again! You will find the Room staff selling books at the event (when we're not doubled over with laughter, of course). America’s preeminent humorist returns by popular demand, following three straight Overture Hall sellouts in the last five years. Sedaris rocketed to stardom (superstardom among public radio types) as a regular on Public Radio International’s This American Life and as author of the vivid and sometimes vitriolic memoir Me Talk Pretty One Day and the brand new Let’s Explore Diabetes With Owls. He’s got a talent for turning a big hall into a living room filled with friends. Have a seat! To get tickets, check out the Overture Center's event listing! Celebrating the release of his highly anticipated newest title, Let’s Explore Diabetes with Owls, which debuted at #1 on the New York Times bestseller list this April, author David Sedaris comes to Clearwater for an evening of engaging recollections and featuring all-new readings. Tweaking the familiar until it warps, David Sedaris mines poignant comedy from his peculiar childhood in North Carolina, his bizarre career path, and his move with his lover to France. Including his last releases, the New York Times’ bestselling books When You are Engulfed in Flames and Squirrel Seeks Chipmunk: A Modest Bestiary, David Sedaris’ wickedly witty observations of the ordinary-bizarre are always sure to deliver insights and laughs. One of six children in a second-generation Greek family, he grew up in Raleigh, North Carolina. In 1977, he dropped out of Kent State University to hitchhike around the country. Aside from working as an elf, Sedaris has worked a number of charmingly quirky jobs such as a house painter, an apple picker, an aide in a mental hospital, a creative writing teacher at the Art Institute of Chicago, and an apartment cleaner. David Sedaris Comes to RVA! Monday, August 2, 7:30 p.m.Me Talk Pretty One Day By David Sedaris A recent transplant to Paris, humorist David Sedaris, bestselling author of "Naked", presents a collection of his strongest work yet, including the title story about his hilarious attempt to learn French. David Sedaris is coming to Malaprop's on June 6th! The ticketed reading beginning at 7pm is sold out. The 9pm Book Signing and Reception will be open to the public. This is your chance to meet David Sedaris! Call if you have questions (828)254-6734. David Sedaris is currently considered a "single author." If one or more works are by a distinct, homonymous authors, go ahead and split the author. 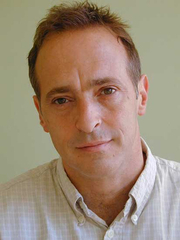 David Sedaris is composed of 15 names. You can examine and separate out names.